California Live Scan Fingerprinting Centers (CAL-LIVE) provides full-service fingerprinting solutions. Such professional services and professional affiliations includes Live Scan fingerprinting business training classes, workshops, vendor events and Live Scan business development consultation (http://LiveScan-Classes.com). Learning how to start a Live Scan business in California is also part of these services. Starting a Live Scan business or any type of business is not an easy adventure. It is not always the known huge obstacles and hurdles that gets the new and/or seasoned business owner into trouble. There are many “little thingies” that can grow overnight in to that “big elephant”. To understand how to start a Live Scan business in California, involves the savvy entrepreneur doing a little homework along with actively participation industry related workshops and seminars. Live Scan fingerprinting business classes are currently every quarter at the Live Scan Los Angeles (Culver City) corporate office. This is a great way on how to start a Live Scan business in California. On-site classes can be made available for groups and at college campuses. Upcoming Live Scan fingerprinting business classes can be found at http://LiveScan-Classes.com or by contacting us at (888) 498-4234. 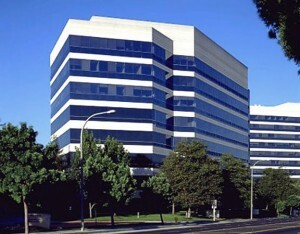 Monthly and quarterly classes available at the Los Angeles Corporate Office. On-site mobile fingerprint training service upon clients’ request. Future Live Scan workshop and events will soon take places in such counties as Alameda, Long Beach, Los Angeles, Sacramento and San Diego. California Live Scan Fingerprinting Centers provides single point of contact for all of your Live Scan needs. This includes in getting that competitive advantage in knowing how to start a Live Scan business in California. Move forward today, make an appointment call California Live Scan Fingerprinting Center and talk to a real customer satisfaction representative at 888-498-4234, or visit online at http://LiveScan-Fingerprinting.net. The National Live Scan Association (NLSA) provides full-service fingerprinting solutions. Such professional services includes Live Scan fingerprinting business classes, training and consultation. The National Live Scan Association membership is growing dramatically. And with its’ continues strive towards not only being California’s largest and most efficient Live Scan and Ink Card Fingerprinting collection network, but nationwide. Each of the NLSA’s members has access to industry leading Live Scan fingerprinting business workshops and NLSA Online Live Scan Classes, 888-498-4234. Live Scan fingerprinting business classes are currently every quarter at the Live Scan Los Angeles (Culver City) corporate office and other major cities throughout California. On-site classes can be made available for groups and at college. All of our Live Scan Fingerprinting Instructors are certified and approved by the Federal Bureau of Investigations (FBI) and the California Department of Justice (DOJ). The National Live Scan Association provides an advance training program for its Live Scan Fingerprinting Instructors. Along with the instructors extensive training, the majority of the instructors own and/or have managed success Live Scan Fingerprinting businesses. California Live Scan Fingerprinting Centers in partnership with The National Live Scan Association provides single point of contact for all of your Live Scan needs. To learn more or to make an appointment, call California Live Scan Fingerprinting Center and talk to a live person today at 888-498-4234, or schedule online at http://LiveScanAppointments.com. Along with our Live Scan services, Jhanira Business Solutions has an ongoing Entrepreneurial & Business Development Seminars series mainly held at the West Los Angeles Regional Office. These seminars are usually held on Thursday and most Saturdays. Items of discussion includes review and tutorial on office setups, business plans, network marketing, social media, prospect screening, basic business and presentation skills and much more. Sessions are facilitated by local and national industry leaders. Guest are always welcomed, but RSVP is required. Advanced registration fee may be required. Click to email us or contact us directly at 888-498-4234.